Magento is ideal both for B2B AND B2C industry and also for those seeking an open source solution, based on PHP. What can Ask Online Solutions do? Ask Online Solutions can develop and custom design for your Magento e-commerce website. We at Ask Online Solutions offer a broad range of Magento e-commerce solutions, such as design, hosting, customization, testing development, maintenance and support. We leverage the maximum power of Magento by helping you to achieve your online business goals. We architect e-commerce solutions with certified in-house engineers, tech savvy and business know-how’s. Our certified Magento Developers facilitate customers to reach business for seven days and twenty-four hours in no time. They strive hard to provide every customer with e-commerce solutions to suit their needs specifically. 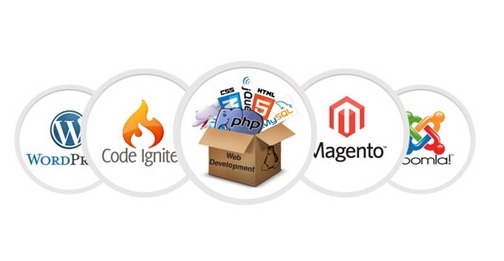 They analyze your requirements which enable them to build your Magento store accordingly. Ask Online Solutions have integration with many third party backend systems such as- Exact Target, Temando, Mail call, Payment Express DPS, etc. We provide you with rich features and resources to help you start an online presence within a very short period. Through Magento e-commerce platform we can help you to add functionality and features to avail the benefits of every opportunity. We enhance your chances of meeting immediate and long-term needs for growth. At Ask Online Solutions we feel proud to believe that we are Magento experts as it is one of the topmost e-commerce solutions for online business. By being customer-centric we cater for an excellent e-commerce experience that will accelerate your business in the market. We will help you to catapult your online success by answering your questions as well as by addressing your concerns. In times where every business faces a time crunch, getting things done in quick time has become important. Open source web development has proved to be quite beneficial for several businesses today. There are many benefits realized by using open source web development. One of the biggest advantages of working with an open source web development is that it is extremely cost-efficient as opposed to other methods. Additionally, it takes very less time for developing a new website from scratch and can also be introduced effectively for promoting the website. Like other tools, a business working with open source development need not worry about paying a license fee which is usually very high and the entire process of acquiring the license is also quite time consuming. Thus, open source development proves to be quite beneficial for developers as well as users. This is one key reason why most professionals prefer adopting this method. Also, it is regarded as one of the most effective and the best solution for website development since it involves a lot less hassle. One can easily look for essential resources online since they are available in plenty. Also, one can go through the individual experience gained by various open source web developers who have efficiently made use of this method and also benefitted to a great extent. One another advantage of open source development is that it offers a simplistic solution for dynamic and flexible web development. Simply put, it enables function customization depending on business needs and preferences.